Anything can happen in the next 160 pages! 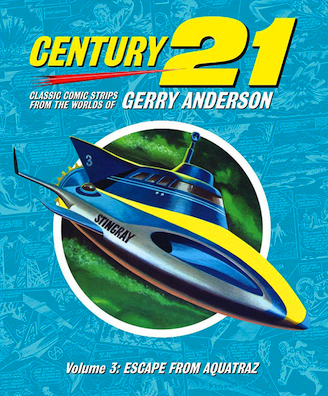 Reynolds & Hearn return again to the classic Anderson strips of Century 21, featuring Stingray in this volume. Chris Bentley's Latest Book of Classic Reprints Featuring Stingray! Scanned from original artwork for the highest fidelity reproduction possible. Hardback of Volume 3 is also available.